Sharing recipes and my love of cooking. With the cooler temperatures of October, I am more inclined to drink hot tea. I enjoy hot tea with milk and sugar but that’s not the healthiest way for me to drink it (especially with my dairy and sugar sensitivities). Usually I drink it plain or with honey and lemon, unless it is spicy chai. With chai, I prefer coconut milk. Heat the honey until it is warm. You can do this in the microwave or you can place the glass jar in a pan with very hot water. Warming the honey is particularly useful if the honey is crystallized. It also helps the honey meld with the lemon and ginger. 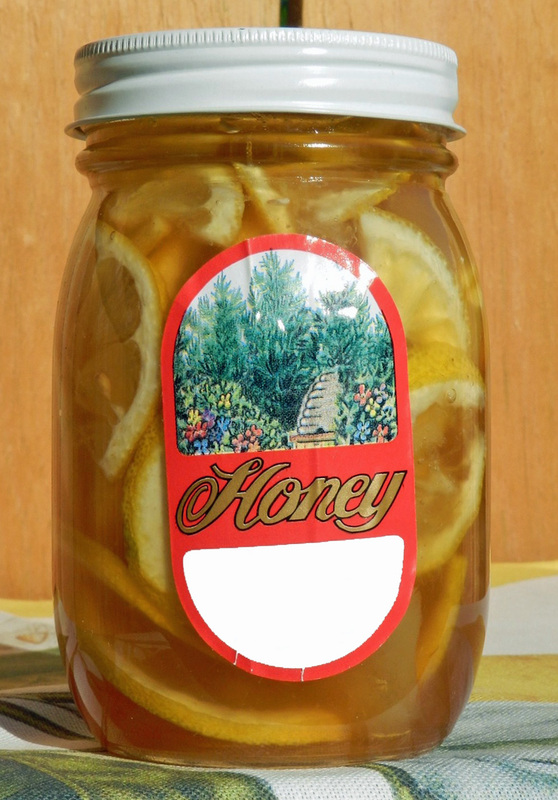 Place the fruit in the jar, alternating lemon slices with the ginger. Push down with a spoon as needed. You want the mixture packed in the jar. Store in the refrigerator for at least three days before using, this gives the flavors a chance to blend. Then enjoy it! *Wash and dry the lemons. Cut the lemon lengthwise. Place the flat side on the cutting board and cut thin, half-moon slices. Remove any seeds.